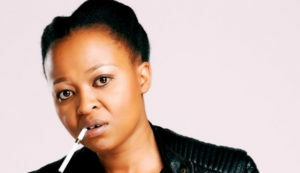 Manaka Ranaka is a South African actress who is popular for her role as Lucy Diale the mother of Namhla Diale (Thulisile Phongolo) in the soap Generations: The Legacy . She is the sister of the South African Radio Deejay, Actress and Tv Presenter Dineo Ranaka. She was born on the 6th of April 1979 in the township of Soweto in Johannesburg in the Gauteng province. As of 2018, she is 39 years old. She has two daughters. Her little sister is the famed radio DJ and television personality Dineo Ranaka; and lesser-known sister, Nompumelelo “Mpumi” Ranaka-Malchartzeck. Her daughters were born of different fathers. Her elder daughter is named Kagiso, and her younger daughter is named Lesedi. As of today, she has no husband. She actually dated Thabo Monareng for a while. 2007: South African Film and Television Award (SAFTA) for Best Actress in a Television Comedy.